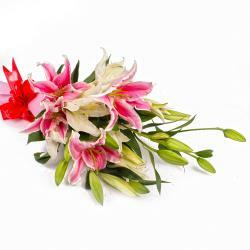 Product Consist : 10 Stem of Lilies in Pink and White color with green fillers in cellophane Wrapping with Ribbon Bow on it. 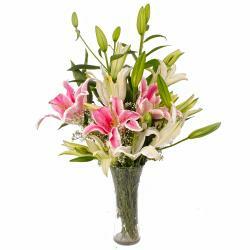 This bunch of Lilies makes for the perfect gift to surprise your loved ones with. 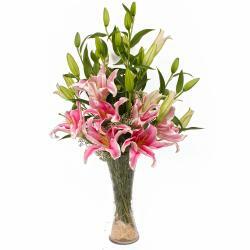 This bunch contains 10 stem of pink and white color lilies which are sure to delight any recipient with aplomb. 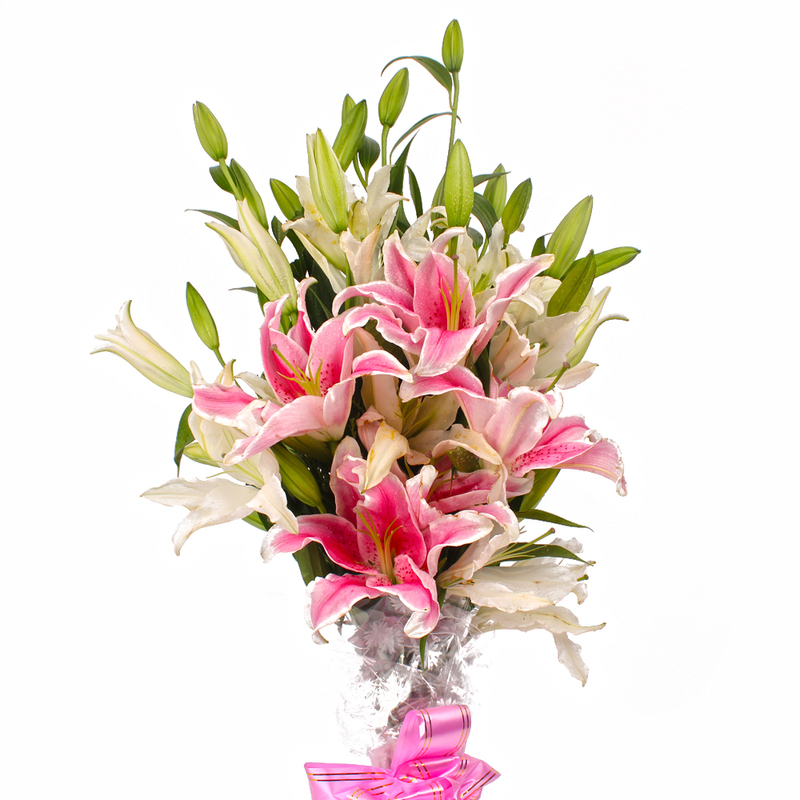 These lilies are neatly packed in cellophane for added effect and also come with a matching ribbon bow for a special dimension. 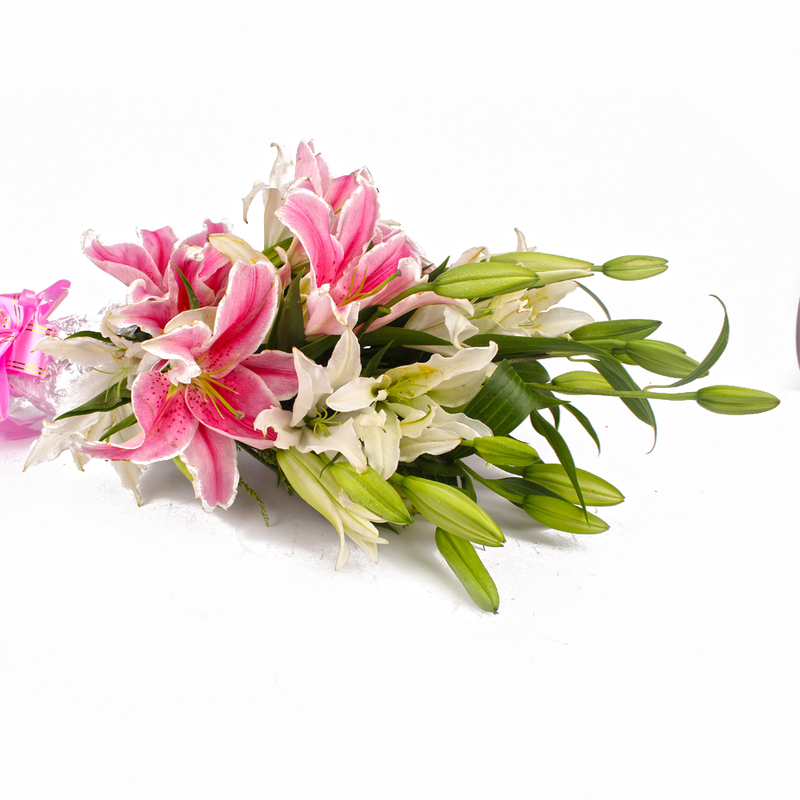 These Lilies should be ideal gifting solutions on special occasions like Birthday, Anniversary, Retirement Gifts, Easter, Valentines Day, Diwali and many more. 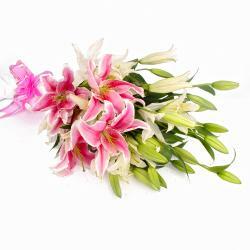 Product Contains : 10 Stem of Lilies in Pink and White color with green fillers in cellophane Wrapping with Ribbon Bow on it.